There are so many ways to market a business today that it sometimes boggles the mind when trying to decide where to put your resources, money, time and effort and get the best 'bang for your buck' when faced with the challenge at hand. The challenge is how to get your name/brand out to the world and not go broke or crazy in the process. The Alpaca is a remarkable breed. Originating in South America, specifically in Bolivia, Chile and Peru, these animals are rapidly gaining in popularity throughout the world as a livestock breeding animal. 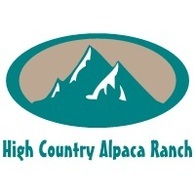 Frequently referred to as, "The World's Finest Livestock Investment," alpacas are raised for their wonderful fleece. "Wow, Those Guys Were Good"
Shearing day is one of the most important days of the year for any alpaca owner. It can be a hectic and stressful time, but it doesn't have to be. With the proper preparation and good teamwork, stress on the owner and the animal can be and should be minimal. In fact, we believe that you should be able to look back and say "Wow, that's the way it should be done. Those guys were good".